This 5-Day vacation package, Paraty, Fun and Sun at the Beach, invite and encourage you to swim and snorkel along beaches of uncommon beauty. This 4-day vacation package, Manaus Brazil, the Amazon and Beyond, offers you an inside glimpse of wildlife, customs, and traditions of the Amazonian Natives. This 2-night vacation package, Iguazu Falls, Adventure, & Nature at It’s Very Best, will thrill you with the power of the Devil’s Throat. Known as the Land of the Falls, Foz do Iguassu is a paradise filled with natural beauty. 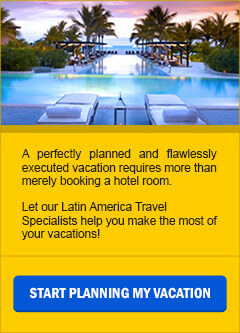 This 8-day Brazilian Beach Getaway Rio & Buzios takes you to South America most popular beach destinations, cosmopolitan Rio, and the quaint charming beach town of Buzios. This 8-day vacation package, A Fun Week in Rio, takes you to the Tijuca National Park home to the Corcovado and Sugar Loaf Mountains with time to explore the “Marvelous City”!